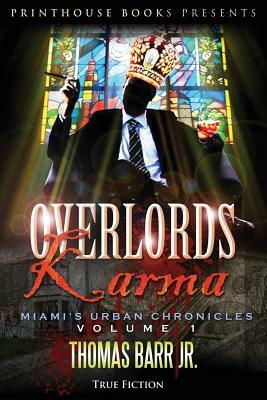 Overlords Karma; Miami's Urban Chronicles; Volume I, an urban literary fiction portrays a biopic of the career of African-American politician; Arthur E. Teele; set in Miami's Overtown community. A Miami city commissioner commits suicide, after being overwhelmed by the trials and tribulations he faced as a professional minority which are comparably different from his non minority counterparts. For the main character; Anthony "Amp" Tate his desire to fit in leads to his detriment as a leader of his community. Tate was raised a moral man of standards with southern roots by his parents. He has followed all the societal norms of the traditional education and career track realization of the American Dream. In his desire to be recognized on the level as his peers he faces serious moral conflicts of judgment. As Tate navigates the climate of the professional world which can't be taught in school, he confronts the dignity of truth.